The about page needs some design and copy for WordPress 5.1. 3.7-about-3.png​ (461.8 KB) - added by mcsf 3 months ago. 46161.1.diff​ (24.2 KB) - added by mcsf 3 months ago. 46161.2.diff​ (27.2 KB) - added by mcsf 3 months ago. 46161.diff​ (27.3 KB) - added by noisysocks 3 months ago. 46161.3.diff​ (30.8 KB) - added by noisysocks 3 months ago. 46161.4.diff​ (4.0 KB) - added by peterwilsoncc 3 months ago. 5.1 About Page v1.png​ (502.8 KB) - added by melchoyce 2 months ago. 5.1 About Page v2.png​ (501.7 KB) - added by melchoyce 2 months ago. 5.1 About Page v3.png​ (421.6 KB) - added by melchoyce 2 months ago. Stetoscope.jpg​ (11.0 KB) - added by paaljoachim 2 months ago. heart.png​ (26.8 KB) - added by melchoyce 2 months ago. 5.1-About-Page-v2-with-heart.jpg​ (343.8 KB) - added by paaljoachim 2 months ago. With heart instead of the stethoscope. 5.1 About Page v5.png​ (463.8 KB) - added by melchoyce 2 months ago. 46161.5.diff​ (17.7 KB) - added by ryelle 2 months ago. 5.1-editor-performance.svg​ (18.1 KB) - added by ryelle 2 months ago. 5.1-site-health.svg​ (31.0 KB) - added by ryelle 2 months ago. 5.1-under-the-hood.svg​ (193.3 KB) - added by ryelle 2 months ago. 5.1-update.svg​ (86.0 KB) - added by ryelle 2 months ago. 46161.6.diff​ (19.2 KB) - added by pento 2 months ago. What major and minor features should be highlighted in 5.1? If yes, should we fix/update the text there to be aware if the plugin is installed but not activated? See https://core.trac.wordpress.org/attachment/ticket/45178/45178.21.diff. It seems the major features are the developments on the Servehappy and Site Health fronts, as well as Gutenberg 4.8, which is mostly about many performance improvements. Am I missing something? Performance improvements are easy to explain, but I'll take all the help I can get to explain the remaining highlights to a user. Among the minor features, I can only find developer-oriented ones: Multisite Metadata, Cron API, New JS Build Process, Updated Styles and Strings. What else? If the minor improvements are indeed all dev-oriented, we can just be clear about that. As a data point, 4.8—which was also a smaller release—had the following messaging: An Update with You in Mind | WordPress 4.8 adds some great new features. Gear up for a more intuitive WordPress! | Though some updates seem minor, they’ve been built by hundreds of contributors with you in mind. 5.1 is overall a smaller release, eclipsed by 5.0, so we could take some inspiration from 4.8. However, the intention is to keep momentum in the release cycle, so these incremental releases—smaller but more frequent—are to be expected. Can we just convey this? There was a significant shift in the overall appearance of the About page in 5.0, in order to both introduce the new editor, but also to play with the concept of blocks. 5.0 is arguably still fresh in people's minds; does it make sense to retain the overall look? There aren't a lot of illustrations for the highlights, which is an important factor. This is a good question. I think it comes down to whether the overall page is made to paint 5.1 as an iteration of 5.0, in which case it should retain a good deal of information around the Block Editor. In that context, we should keep the bit about Classic and apply your patch, @azaozz. @melchoyce, what does your gut tell you on whether to keep a small about page focused on 5.1 vs. something building from 5.0? This ticket was mentioned in ​Slack in #core-php by mcsf. ​View the logs. Whether we focus on new 5.1 features or spin it as an iteration on 5.0, I definitely think we should keep it small and succinct. 4. The 3.7 page is a good source of inspiration — that was another dev-focused release. Sounds great. For reference, I've attached a screenshot of 3.7's About page. I don't think any of it will be super exciting yet: the best of Site Health is yet to come, as is the best of performance in the Block Editor (Gutenberg 4.9 and onwards). Still, for some users the current benefits in performance may already be felt and welcome. As for the miscellaneous dev improvements, I'd say certain items on that list may individually be exciting for given people, but that's it. New dashboard widget to inform administrators about outdated PHP versions. A yellow warning colour is used when the current PHP version is outdated, a red error color is used when it is also insecure. Honour plugins' minimum required PHP version. This is achieved by conditionally disabling the Install plugin button and showing the required PHP version more prominently (in the details view of a plugin). This honors the minimum version requirements for both WordPress and PHP. This data is taken from the plugin's readme.txt file. Any plugin that does not specify a version requirement will be allowed to install. This is the current default behavior. These actions require passing both requirements. Currently this is only for the Install Plugin. In 5.2 the plans are for this to be honored for plugin updates and plugin activation. @flixos90 @schlessera does this sound correct to you? WordPress 5.1 includes portions from the from the Servehappy and Site Health projects so that it will start showing notices to administrators of sites that run on long outdated PHP versions and will start honoring plugin PHP version requirements. @mcsf @afragen looks like a double "from the" in the text I provided, you'll want to remove that (I've done that to the Field Guide draft just now). WordPress 5.1 includes portions from the Servehappy and Site Health projects so that it will start showing notices to administrators of sites that run on long outdated PHP versions and will start honoring plugin PHP version requirements. Perfect. Short and to the point. Welcome / The release in a nutshell / Some illustration? The two highlights: Servehappy and Block Editor improvements. The miscellaneous improvements for developers. Following WordPress 5.0—a major release which introduced the new Block Editor—5.1 focuses on polish, in particular by improving overall performance of the editor. In addition, this release paves the way for a better, faster and more secure WordPress with some essential tools for developers. In a continuous effort to keep the Web secure and fast, WordPress is betting on the Servehappy and Site Health projects. This is why WordPress will start showing notices to administrators of sites that run on long outdated PHP versions, and why it will start honoring plugin PHP version requirements. The new block editor has kept improving since its introduction in WordPress 5.0. Most significantly, WordPress 5.1 includes solid performance improvements within the editor. The editor should feel a little quicker to start, and typing should feel smoother. Nevertheless, expect more performance improvements in the next releases. This should be "honoring plugin WordPress and PHP version requirements." Anything more we can do to explain what Servehappy and Health Check are for people unfamiliar with the projects? Hmm. I think a way to describe it is something like the following. Servehappy and Health Check are part of WordPress' ongoing efforts to promote the use of more secure versions of PHP while attempting to mitigate potential issues when updating PHP. Bear with me: 46161.1.diff looks quite horrible! I am hoping we can start from here and adapt the style to something that makes sense. There aren't a lot of visual changes in 5.1, so IMO we should move away from the illustration-heavy layout. That sounds good. Is there a good reference for interested users to follow? I see some Make/Core posts, but they seem too technical or tactical. I think most of it is in ​https://make.wordpress.org/core/2019/01/14/php-site-health-mechanisms-in-5-1/ but so is lots of other stuff. I did a quick search and I don't see a specific, simple description. As site health is user focused, I've attempted to write up some less deverloper-focused copy. I've removed ServeHappy as that was a working title that proved to be unclear for users. I imagine it all needs an edit for clarity, particularly the final paragraph. In a continuous effort to keep the Web secure and fast, WordPress has introduced site health features. WordPress will start showing notices to administrators of sites that run on long outdated PHP versions. PHP is the programming language used to build and maintain WordPress. WordPress has detected your site is running an outdated version of PHP. You will see this notice on your dashboard with instructions for contacting your host. WordPress's site health features will also check if a plugin specifies it requires a version of PHP incompatible with your site. WordPress checks this information and will prevent you from installing an incompatible plugin. Thanks for the input! I've incorporated your suggestions and adapted them in 46161.2.diff. Let me know what you think—or rather let us know, as it's getting pretty late here and I'll log out soon. For clarification, WP 5.1 will not be able to install a plugin if it doesn’t meet the posted requirements for either WordPress or PHP. WordPress's site health features will also check if a plugin requires a version of PHP that is incompatible with your site, and prevent the installation of an incompatible plugin. Thanks @andreamiddleton, that's much better. I'd like to replace requires with specifies a miniumum as the feature relies on the plugin author setting the version in the readme. I may be over thinking this though. WordPress's site health features will also check if a plugin specifies a minimum version of PHP that is incompatible with your site, and prevent the installation of an incompatible plugin. The 'PHP Update Required' screenshot is non-retina and shows an outdated design of the 'PHP Update Required' message. I'm also not totally convinced it's the strongest image to lead with. The Classic Editor screenshot says 'WordPress 5.0' in it instead of 'WordPress 5.1'. Update the 'PHP Update Required' screenshot to be retina and show the newest design. Move the 'PHP Update required' screenshot to below 'Site Health' where we describe the feature. Add a screenshot of the block editor to below 'Editor Performance'. Update the Classic Editor screenshot to say 'WordPress 5.1'. Come up with a new image to lead with underneath 'A Little Better Every Day', or remove it entirely. Changes to the images can be made after the RC is packaged so none of this is blocking. 46161.diff​ contains some minor copy changes courtesy of @andreamiddleton. Admin: Initial version of the WordPress 5.1 About page. This includes the final strings, the design will continue to iterate. Props mcsf, noisysocks, melchoyce, azaozz, afragen, JeffPaul, peterwilsoncc, andreamiddleton. Admin: Fix code formatting issues in the About page. Admin: Improve logic of PHP version check on about page. Added three different ideas. I'm leaning towards 2, but I'd love to get some feedback on which of these folks thinks works best. Do you think that users might mistake the 'PHP Update Required' screenshot for the real thing and accidentally click on 'Learn more about updating PHP'? An alternative to the stethoscope graphic. Then adjusted it in Photoshop. @paaljoachim Do you know if that site has a usage license specified somewhere? @noisysocks Possibly yeah — I can try to tweak it to make it look less like it's interactive. I like the heart as an option. 2 feels my preference, however, is the 'update PHP' an image? I ask because the primary button in it makes me want to click. FOR FREE UNDER THE CREATIVE COMMONS LICENSE. So the above license seems to indicate one has to give attribute and notice if it has been changed. I did another search this time on images in the public domain. I am now looking for another suitable image to use. Yeah, @noisysocks mentioned that too — I'm going to see if there's something I can do to make the image less interactionable, and if that fails, do another illustration. 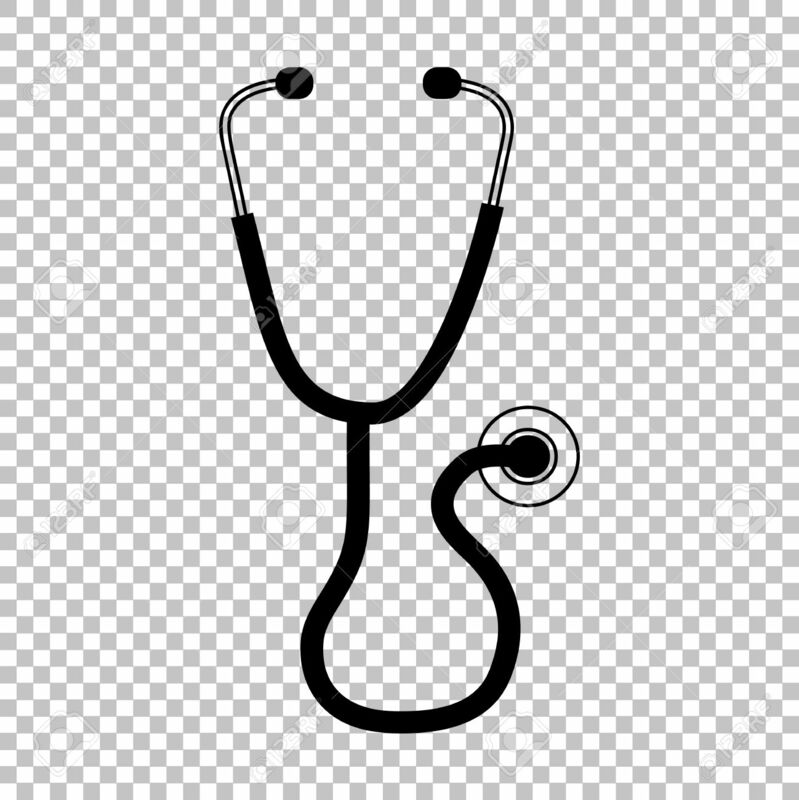 I like the heart graphic more than the stethoscope graphic; the heart feels positive, warm, and indicative-of-health, whereas the stethoscope feels more "doctor-y" and indicative-of-illness. This concerns me a little too, thus my preference for including the live widget on the page rather than a screen shot. The widget functions aren't available to the about page so it might be necessary to recreate it or move the widget code. My preference is to recreate. No new strings are required as they have been included in the dashboard widget. Unless anyone has additional feedback, I'm going to say 5.1 About Page v5.png​ is the layout and illustration direction I'd like to go in. @ryelle has kindly volunteered to code it up over the weekend. 46161.5.diff​ updates the page to match @melchoyce's design. There shouldn't be any content changes. I also removed all the floating-header-section references, and the JS code that ran to set those up. The images have also been uploaded to this ticket. Don't mind the temporary URLs, I needed a place to host SVGs (it's my site). I was only able to browser test on Mac/Chrome & Mac/Firefox, so I'd appreciate some help checking other browsers. Thank you for building this, @melchoyce and @ryelle! Images are now on the s.w.org CDN. The "Gutenberg has been deactivated" warning is removed, since upgrading no longer deactivates Gutenberg. The "Learn how to keep using the old editor" info link at the top is removed, but I kept the details at the bottom. The "Learn more about updating PHP" button now links to the correct URL. I've tested in Safari on macOS, as well as iPhone 5/iPhone XR/iPad Pro simulator, it all looks good there. Admin: Update the About page design to match mockups. This commit also moves the images to s.w.org, removes the old "Gutenberg has been deactivated" warning, as well as removing some old JS from About pages of years gone past. Props melchoyce, ryelle, paaljoachim, karmatosed, pento.